This doubleheader concert features legendary pianist Kathleen Supové and composer Neil Rolnick as they team up for a double CD release concert and party featuring new works from their most recent CDs. 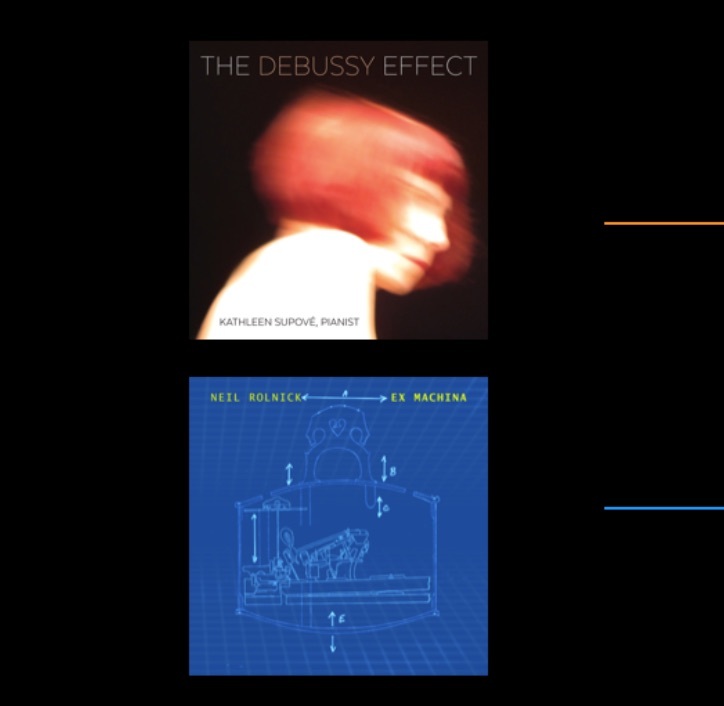 The Debussy Effect - On her latest two disc release from New Focus Recordings, Kathleen Supové explores the hold that Debussy’s music has on pianists, musicians, and listeners alike. As she observes in her notes, Debussy’s music “seems to suggest a state of mind, too, envisioned in a very crystalline and personal way.” The Debussy Effect documents Supové’s project of enlisting several composers to bring that sensibility and something of their personal relationship to new, 21st century works, for solo piano and piano and electronics. — K.S.